Kent Optronics has received a potential five-year, $47.6 million basic ordering agreement to produce wide field-of-view night vision technology for the U.S. Navy. 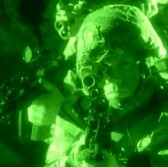 The Defense Department said Friday the company will also provide night vision systems and associated retrofit and data services to the Navy Expeditionary Combat Command as well as to the U.S. Special Operations Command, Air Force and Coast Guard. According to DoD, the systems will be built with optical foveal technology that is designed to provide users with an 80-degree angle of view. The firm-fixed-price award comes under phase 3 of the Navy’s Small Business Innovation Research program. Hopewell Junction, New York-based Kent Optronics is an employee-owned company focused on developing and commercializing electro-optical devices with liquid crystal, photonics and optical components.